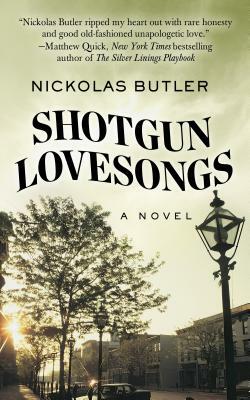 NICKOLAS BUTLER was born in Allentown, Pennsylvania, and raised in Eau Claire, Wisconsin. His writings have appeared in "Narrative Magazine," "Ploughshares," "The Kenyon Review Online," "The Progressive," "The Christian Science Monitor," and elsewhere. A graduate of the University of Wisconsin and the Iowa Writers' Workshop, he currently lives in Wisconsin with his wife and their two children.